The goal of the Chill-Out Music Experience is to create an awesome ambient / chill-out music production in the inspiring, epic Andalusian environment while experiencing a real deep immersion, exploration and odyssey into chill-out. 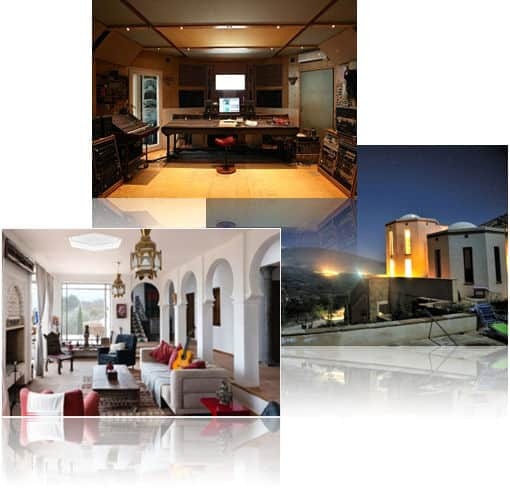 Besides visiting inspiring places in Andalusia, you’ll learn composition, arrangement, mix and production-techniques in Logic Pro, make and edit fieldrecordings and impulse response recordings and make recordings in the Gizmo 7 Residential Studio as well as the Space Mountain Studios where you’ll stay the last three days of the 10-day workshop. This studio is owned by legendary producer Martin “Youth” Glover. 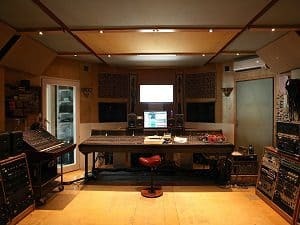 With his experience and expertise as a chill-out music producer, he will help you to take your productions to the next level with additional recordings and other creative arrangement and production techniques. Finally you’ll learn how the productions can be mastered in Izotope Ozone. Before the Experience starts, you’ve already submitted a song element – like a melody or a soundscape – or a composition based around a theme that we chose. The sound quality doesn’t need to be high, it’s more important that we can get an idea of what your contribution is going to be to the chill-out music production that we’re going to create during the Experience in Andalusia, Spain. The theme that we set could for example be “Deep” or “Connected”. When the Chill-Out Music Experience starts in Spain, we’ll decide as a group what direction we will take our music production. We will make audio recordings in a professional music studio (Gizmo7) and add other elements and production techniques along the way. You’ll be working in Logic Pro on your Macbook. 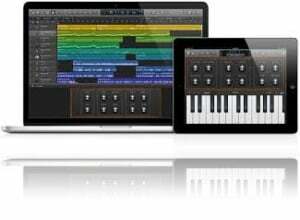 The tools and techniques you will learn during the lessons can be applied to your contribution to the music production anytime and anywhere. The last 3 days, we’ll be working in Space Mountain Studios where owner Martin “Youth” Glover will use his expertise and creativity to help us take our production to a new level. WIN BACK YOUR COURSE FEE OR A 4-DAY TICKET FOR THE SPACE MOUNTAIN FESTIVAL IN OCTOBER 2019 IN ANDALUSIA, SPAIN! If you are new to Logic Pro, you can follow a separate Logic Pro Basic training which takes place a few days before the Experience starts. 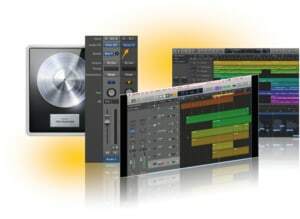 You can also choose to get help with the installation of Logic Pro and related hard- and software. day 1: structure of Logic Pro and working with MIDI and software instruments. day 2: how to work with audio in Logic Pro including importing and recording audio and applying effects. How can we integrate the theme of the Experience into a chill-out music production? As you have submitted already your basic contribution earlier, we will listen to each of the contributions, be it a groove, a melody, a soundscape or something else. We will decide which direction we will take our arrangement and how we can combine the different elements. We then make a planning for what (hardware) instruments or vocals will be recorded tomorrow in the Gizmo7 studio. Software instruments parts don’t necessarily need to be recorded in the studio and can be recorded in Logic Pro on your Macbook. We’ll record guitar, vocals, percussion or whatever is needed for our production, as discussed yesterday in the creative brainwave session. During the session you’ll get tips from professionals regarding recording and arrangement techniques. You’ll learn how to edit and mix the recordings from yesterday, including production techniques. Now you can apply this to your own contribution which could be either a recording made yesterday or an electronic (software) part you made earlier in Logic Pro. Yes, I want to register for the Chill-Out Music Experience! Found sounds generally refer to sounds that were recorded in nature or captured from other objects. These sounds by themselves are not necessarily ‘musical sounding’, but they can add a real world connection and atmosphere to your music and can be used as an instrument by use of sampling. Today you’ll learn how to make fieldrecordings and impulse response recordings. We’ll take a trip to one of the many beautiful places in Andalusia where you can record away! These ‘found sounds’ are meant to be part of our music production. With Impulse response recordings we can capture the reverberation of e.g. a church or cave. One of the trips during this week will be to beautiful Little Tibet (O Sel Ling) in Alpujarra. This serene Buddhist site will make it easier for you to connect to the Universal source and might just be what you need to find peace and inspiration. To get an impression of the atmosphere of Little Tibet, you can check this video. Time for you to work on the production and get inspired by the beautiful surroundings. Additional fieldrecordings can be made as well. Later on the day, we’ll dive into (substractive) synthesis, so you will understand how to create and manipulate sounds with synths and samplers. Today we’ll be editing the fieldrecordings in Logic Pro and you’ll see how you can turn (parts of) the fieldrecordings into a sample instrument. We’ll also determine which recordings we’ll use ande how to merge them into our production. This includes the use of our impulse response recordings (reverb). Our composition is now ready for the next level at Space Mountain Studios where we’ll be going tomorrow. We continue working on it there and finalize it, together with top-producer Martin “Youth” Glover. You have the day off and can continue to work on the production. In the evening, we’ll arrive at Space Mountain Studios where we meet producer Youth. We’ll add some extra flavour to the composition by adding additional recordings, FX, samples and fieldrecordings. Youth will guide us with his expertise and creativity. More time to finetune the arrangement and mix the production. You’ll learn how to master a production in Izotope Ozone. If necessary, you can download a free 10-day trial-version of Ozone. In the evening we have a little chill-out party including a DJ-set by an international renowned chill-out DJ. Sound University Europe will provide some MIDI-keyboards for students to use during the Experience.